Slip and Fall Lawyer in St Louis | Slip and Fall Injury | Can I for a Slip and Fall? Slip and Fall Lawyer in St Louis | Slip and Fall Injury | Can I for a Slip and Fall? Slip and Fall Attorney in St Louis, MO. Burger Law is a personal injury law firm that specializes in slip and fall injury cases. Gary Burger and associates are dedicated to recovering for and protecting the future of those who get injured as a result of dangerous property conditions in Missouri and Illinois. Businesses, homeowners and property owners all invite guests onto their properties and must be held responsible for injuries caused by their unsafe property conditions. Burger Law has helped thousands of injury victims recover well from a full range of slip and fall accident cases including collapsed decks, porches, railings, and stairs. Untreated icy sidewalks, parking lots and business entryways, apartments that are not properly maintained, water or liquid on the floor of businesses, rural property when used for ATV riding or other outdoor activities, and unsafe playgrounds, among more. If you or a loved one has been involved in a slip and fall accident that was caused by a business owner, homeowner, or property owner’s unsafe acts, allow the slip and fall lawyers of Burger Law to fight for your recovery. When a person is involved in a slip and fall accident, it’s the property owner’s responsibility to compensate them for the damages and injuries they’ve endured. When you allow the slip and fall attorneys of Burger Law to assist you in your slip and fall injury case, we will personal represent you and aggressively work towards getting you the largest possible compensation for your injuries. Gary Burger and associates have recovered millions of dollars in compensation for slip and fall injury victims, and we are prepared to fight for your recovery. Working with the slip and fall lawyers of Burger Law means being able to avoid insurance companies who will try and get you to settle for less. 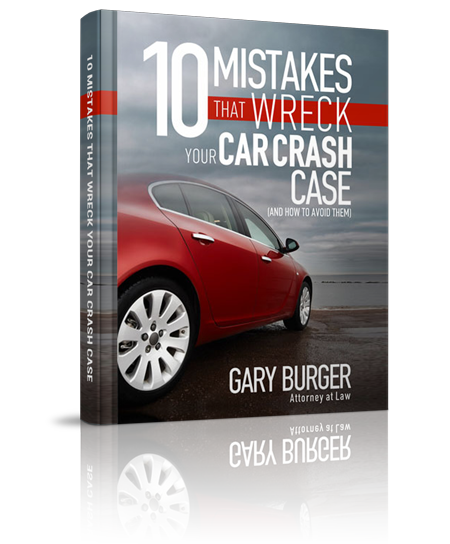 Gary Burger and his associates are committed to getting injury victims fair compensation for injuries caused by the carelessness of another person. 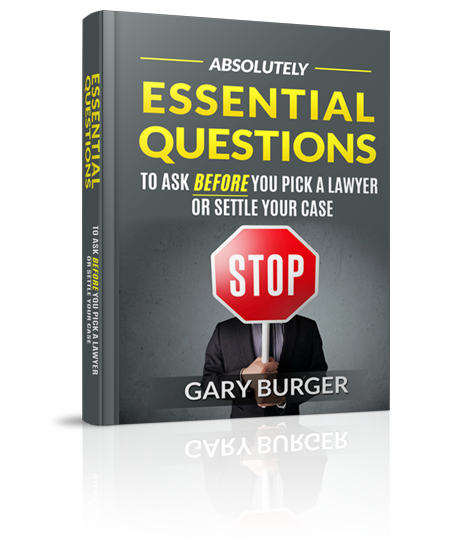 To get started on your free case evaluation, contact Burger Law by calling (314) 542-2222 or completing our online contact form. Can I sue if I slipped and fell? There are a few factors that determine whether or not you should pursue a slip and fall case. 1. Were you seriously hurt in the fall? If your injury required extensive medical care, you may have a case against the property owner. Usually, these types of injuries will be broken bones, a dislocated back, sprained ankles or limbs, etc. You have to be injured for the claim to be a slip and fall claim. If you are bruised, and the injury is very minor, your case may not be worth pursuing to a legal degree. 2. Was the building owner acting negligently? Were you aware of the Hazard? Negligence is key to most slip and fall claims. If a floor was wet, and a warning sign was not posted, then the building owner can be held liable for the injuries. If a sign was posted, and you disregarded the warning and subsequently caused the injury yourself, your slip and fall claim will be weakened and you will have a more difficult time recovering damages. If you aren’t sure about the circumstances of your claim, or if the building owner did act negligently and you were hurt, call our Slip and Fall Lawyers in St. Louis immediately. We want to speak with you regarding the details of your case and see how we can help. Every year hundreds of St. Louis residents suffer injuries in slip and fall accidents in stores, businesses, malls, hotels, and other public areas. These are a common type of accident resulting from a dangerous condition on someone’s property such as liquid, ice, unsecured handrails, or an uneven sidewalk that caused an injury. Many of these injuries happen because property owners fail to keep their properties safe. Fortunately, St. Louis law provides that a person who suffers an injury on another person’s property may have the right to file a lawsuit against a negligent property owner to recover compensation for their injuries. If you suffered an injury in a slip and fall accident, contact a St. Louis slip and fall lawyer today who could evaluate your claim. Work with an adept premises liability lawyer that could investigate your accident to help you secure the compensation you deserve. In any slip and fall case, it is crucial to determine a person’s status when they are on a piece of property because property owners have different obligations to different groups. There are three main classifications of people in a slip and fall accident: invitees, licensees, and trespassers. Invitees in St. Louis are defined in Bartel v. Central Markets, Inc. (Mo.App. 1995) as anyone who enters upon a premises with the express or implied consent of the possessor, and for some purpose of benefit or interest to the possessor or for the mutual benefit of both. Property owners have a duty to provide invitees with the highest standard of care by inspecting their property and fixing dangerous or hazardous conditions. In addition, property owners must disclose known dangerous conditions, as outlined in Harris v. Niehaus (Mo. banc. 1993), citing Restatement (2nd) Torts § 343 comment b.
Licensees are a person who is privileged to enter or remain on land only by virtue of the possessor’s consent, according to Restatement (2nd) Torts § 330; Harris, 875 S.W.2d at 225. Property owners only have a duty to warn licensees of a danger that the property owner knows about or should know about. The last classification of people are trespassers. A trespasser—as defined by Restatement (2nd) Torts, § 329 (1965)—is a person who enters or remains upon land in the possession of another without a privilege to do so. Property owners generally are not liable for harm that caused to a trespasser. A St. Louis slip and fall lawyer could help people with their case, regardless of what class of visitor they are. If you or someone you love suffered an injury in a slip and fall accident, contact a St. Louis slip and fall lawyer today. A slip and fall attorney could help you receive the compensation you deserve including coverage for medical bills, lost wages, and pain and suffering.